This Indicator Card has 3 indicating spots (30/40/50% RH), they change from Brown (dry) to Pale Green (humid). 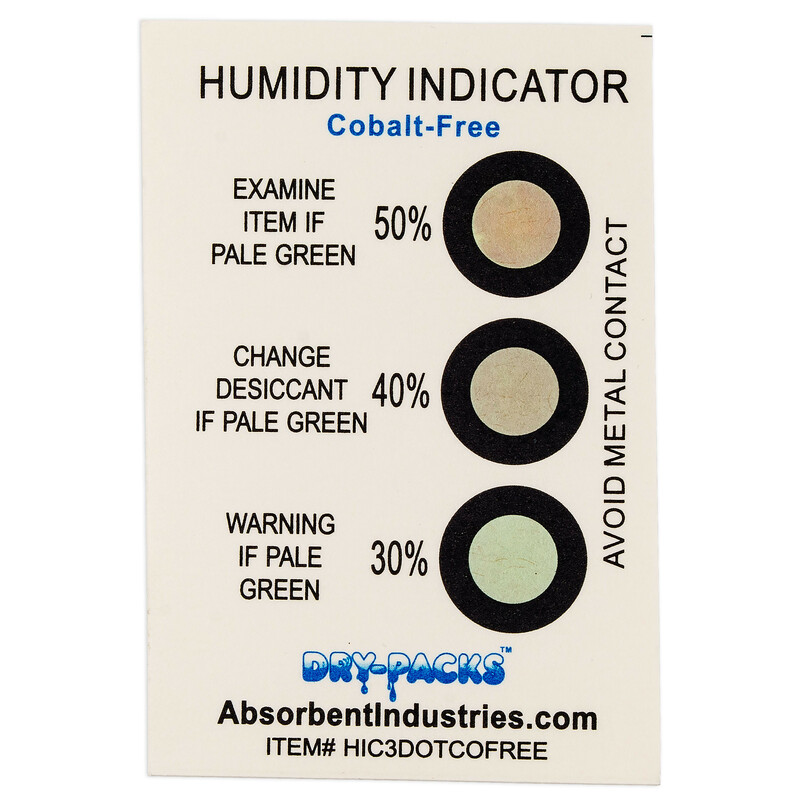 This is a Cobalt Chloride Free Color-Change Reversible Humidity Indicator Card that meets the requirements of Military Specifications MIL-1-8335 and MIL-P-116 Method II. This Indicator Card has 3 indicating spots (30/40/50% RH), they change from Brown (dry) to Pale Green (humid). A great tool to assist you in keeping your valuables protected!